I'm not a big soda drinker by any means, but I do enjoy ginger ale from time to time. 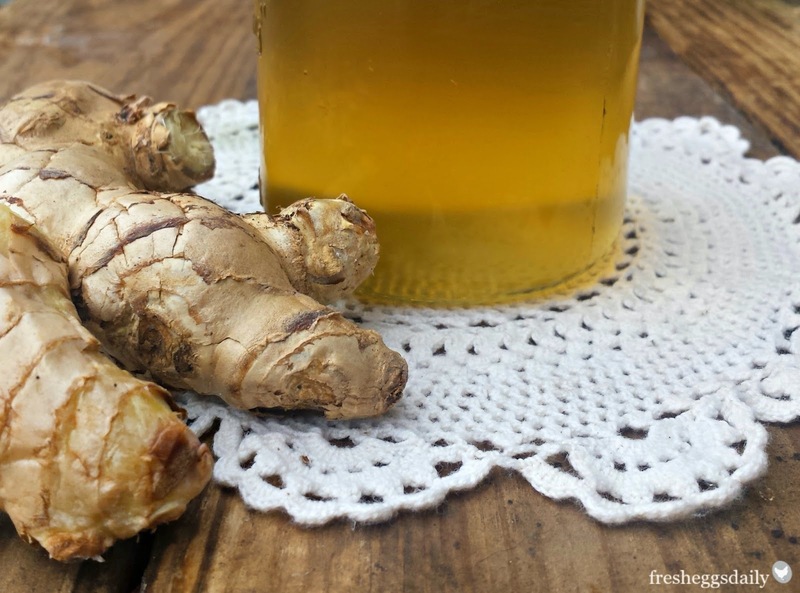 This is my recipe to make your own homemade ginger ale, using just four ingredients that you probably already have in your kitchen. It's so easy and quick to make - and like everything else homemade, its healthier for your family because its all natural ingredients and you can control the amount (and type) of sweetener you use. 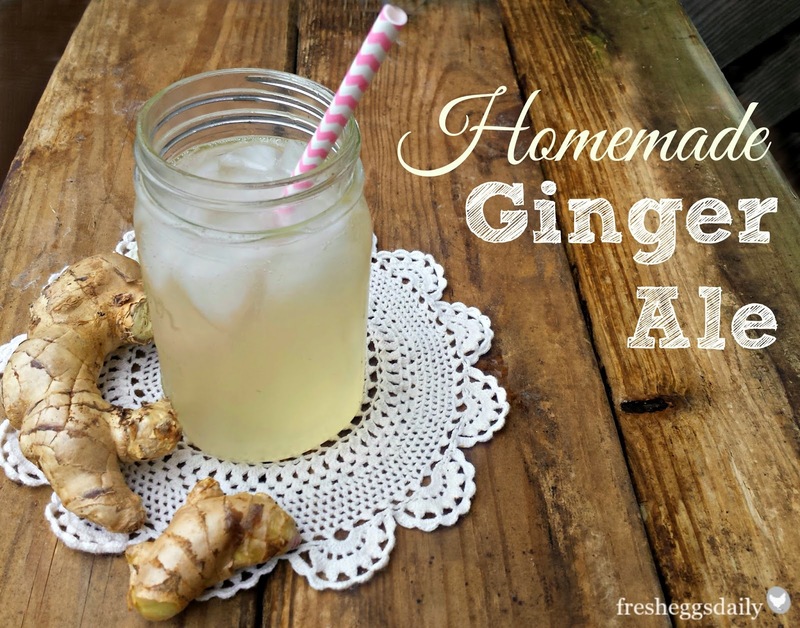 You're going to love this recipe so much, you'll wonder why you haven't been making your own ginger ale before now! You start by making a ginger-infused simple syrup, then adding club soda. That's it. Bring ginger and sugar to a boil in your saucepan of water, stirring occasionally. Reduce heat and simmer, covered, for 30 minutes. Remove from heat and let cool completely. Strain, pressing down on the ginger to extract as much liquid as possible, and reserve the slices. Pour the strained liquid into mason jars and refrigerate. Meanwhile to make the candied ginger, roll the ginger slices in granulated sugar and set them on a wire rack to dry, then store in an airtight canister. To make the ginger ale, add an ounce or two of the chilled simple syrup to a glass filled with ice. Fill to the top with club soda. Stir to mix and adjust amount of syrup to taste, if needed. Enjoy! Ginger is a natural digestive aid - and ginger ale makes a wonderful after dinner beverage, while chewing on a candied ginger slice can help settle an unset stomach. I love ginger ale! I will have to give this a try. Thanks for sharing. Thanks for the great recipe! I use a lot of ginger in my morning smoothies, it adds great flavor and spice. I'll have to try this ginger drink! I'm not a big ginger fan, per se, but I do loves me some Ginger Ale! I've never tried making it but I know my kids would love it! Thanks for the recipe. I want to try the ginger syrup in my coffee!! Wonderful recipe! I would much prefer to have this instead of the stuff from the store. Pinned. I wonder, could you use candied ginger to make a traditional fermented ginger ale? Anyone know?